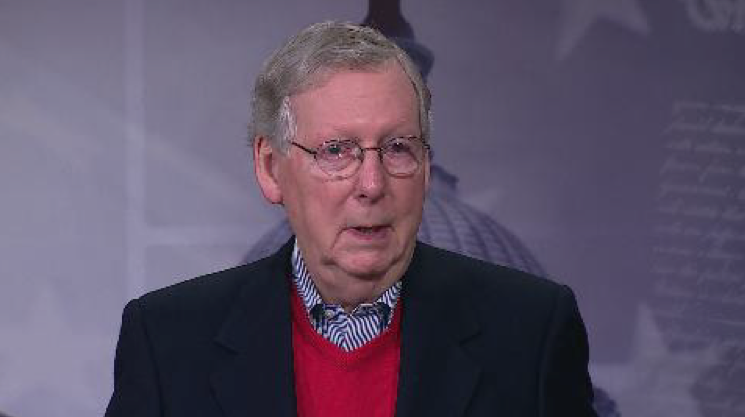 Senate Majority Leader Mitch McConnell on Monday said that he supports a congressional investigations into Russia’s cybersecurity activities that involved interfering in the 2016 U.S. election. “Obviously any foreign breach of our cybersecurity measures is disturbing and I strongly condemn any such efforts,” the Kentucky Republican told reporters in a prepared statement at an end-of-year news conference on Capitol Hill. “I agree with Senator [Chuck] Schumer, Senator [John] McCain, Burr and others that this simply cannot be a partisan issue. Let me remind you that the Senate Intelligence Committee is more than capable of conducting a complete review of this matter,” McConnell added. McConnell noted that Schumer, the next minority leader, will join the Intelligence Committee where he’ll be able to join the investigation. McCain, as chairman of the Senate Armed Services Committee, said he plans to launch an investigation. The Obama administration announced Friday that it has ordered a full review of Russia’s interference in the election. The GOP leader then slammed the President Obama’s leadership regarding Russia in his statement. “The Obama administration attempted to reset relations with Russia and sat back while Russia expanded its sphere of influence, intervened in Crimea, eastern Ukraine, Syria and attempted to bully the Baltic countries,” he said. After he finished his prepared statement, he declined to answer additional questions like whether he believes the intelligence community’s assessment that Russia tried to sway the election in favor of president-elect Donald Trump. He also suggested that he doesn’t want a special committee to be formed to investigate. “We’re going to follow the regular order. It’s an important subject and we’re going to review it on a bipartisan basis,” he said. This comes after Mr. Trump called the intelligence community’s assessment “ridiculous” and suggested that it’s an excuse being pushed by Democrats because they lost the election. Speaker Paul Ryan, R-Wisconsin, stopped short of calling for a congressional investigation in a statement to Politico on Sunday.